The list of Priyanka chopra upcoming movies includes both Hollywood and Bollywood movies. Can you believe that the beautiful lady has already rejected dozen of Hollywood movies? Ever since Priyanka chopra’s show Quantico became a hit, she became a global icon. Now every Hollywood and Bollywood director want to work with the Desi girl but in such hectic schedule she can only do 2 to 3 films a year. Here we take a look on all the upcoming films of Priyanka chopra in the year 2018, 2019 and 2020. The ugly spat between Hrithik Roshan and Kangana Ranauat ensured one thing that in no way Kangana will be seen in Krrish 4. Priety Zinta who starred in the Original film Koi Mil Gaya will also not return for her role. However, Priyanka has admired working with Hrithik roshan and calle Krrish series close to her. So Priyanka will surely return as Priya Mehra in Krrish 4. Apart from Sanjay leela Bhansali, Madhur Bhandarkar too has called Priyanka his favourite actress. Madhur worked with Priyanka in hit 2008 film Fashion. The duo talked in 2015 to work on a film that chronicles the life of a female politician. Priyanka agreed for it but put the film on halt due to her show Quantico. However, Priyanka has stated that she will produce Madamji and the film will release sometime in 2018. 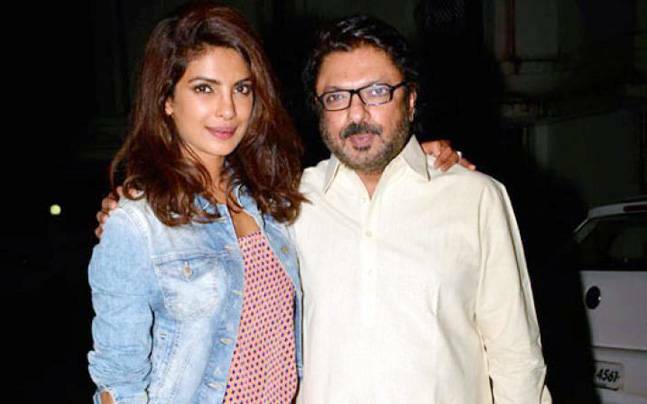 After the busy schedule of Baywatch and Quantico, Priyanka Chopra decided to do a Bollywood film and veteran filmmaker Sanjay Leela Bhansali cast her in Gustakhiyan. After performing in the biopic of Mary Kom, now she is all set to appear in another biopic. She produced this film under her production house banner Purple Pebble Pictures. The official details of Release date, star cast and budget has not announced. Bharat is the upcoming Bollywood film, Directed by Ali Abbas Jafar. Salman Khan will play the lead role in the film and Priyanka Chopra will be the lead Actress. Bharat is an official adaptation of a South Korean film “Ode To My Father”. According to reports, Farhan Akhtar and Priyanka Chopra portraying parents to talented young actor Zaira Wasim in true story based film tell the story of Aisha Chaudhary was born with an immune deficiency disorder died at the age of 18 in 2015. Aisha Chaudhary who became a Motivational Speaker at 13, after being diagnosed with pulmonary fibrosis died at the age of 18.